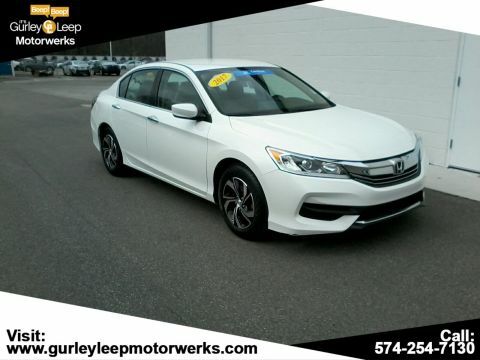 *** THIS VEHICLE IS LOCATED AT GURLEY LEEP Honda IN ELKHART *** !! !, Backup Camera, Bluetooth, Popular Equipment Package, *** LOCAL TRADE ***, *** NEVER SMOKED IN !! ***, *** FULLY DETAILED AND READY TO GO***, **** THIS WILL SELL FAST , DONT WAIT ***, BLOW OUT SPECIAL !!! DONT MISS THIS DEAL! 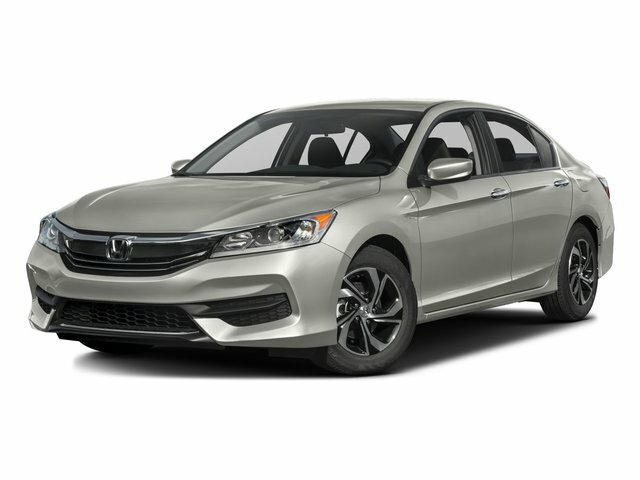 !, Air Conditioning, Automatic temperature control, CD player, Power door mirrors, Power steering, Power windows, Remote keyless entry. Certified. 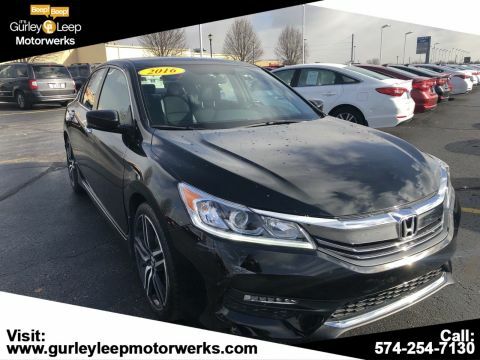 Black 2016 Honda Accord LX FWD CVT 2.4L I4 DOHC i-VTEC 16VRecent Arrival! 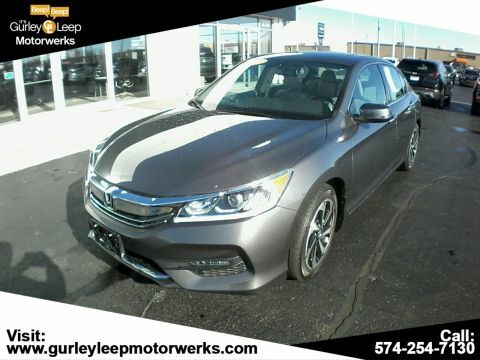 27/37 City/Highway MPGHonda Certified Pre-Owned Details:* 182 Point Inspection* Limited Warranty: 12 Month/12,000 Mile (whichever comes first) after new car warranty expires or from certified purchase date* Warranty Deductible: $0* Vehicle History* Roadside Assistance with Honda Care purchase* Powertrain Limited Warranty: 84 Month/100,000 Mile (whichever comes first) from original in-service date* Transferable WarrantyAwards:* ALG Residual Value Awards * 2016 KBB.com Brand Image Awards2016 Kelley Blue Book Brand Image Awards are based on the Brand Watch(tm) study from Kelley Blue Book Market Intelligence. Award calculated among non-luxury shoppers. For more information, visit www.kbb.com. Kelley Blue Book is a registered trademark of Kelley Blue Book Co., Inc.